Yellowstone and Stillwater coming around! Slowly but surely, area streams are dropping and clearing. Don’t get me wrong, it’s still early season conditions out there. Wade fishing will be difficult for quite a while yet. 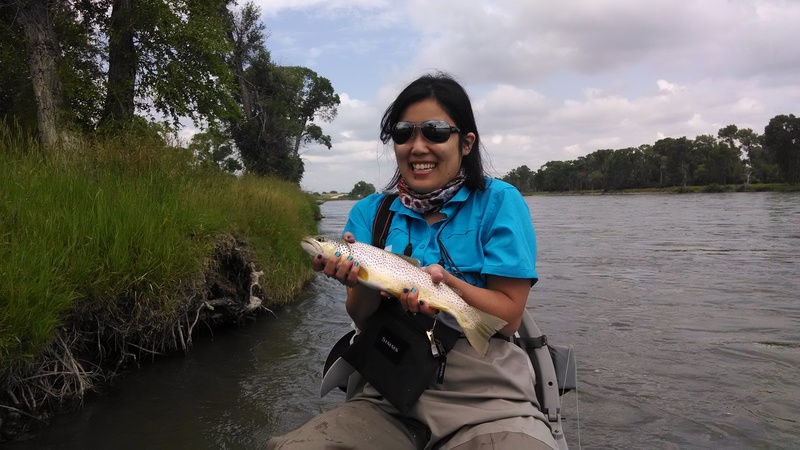 Red Lodge Creek is fishing well, with PMD’s and yellow sallies around. Golden Stones are out on the Lake Fork of Rock Creek, but the water is still too fast to fish effectively. Float fishing the Stillwater is doable, but far from optimal. It’s bank to bank full and crankin’. Even so, fish are being caught on Stimulators. If you plan to float, be sure to check any bridges on your section. It will be very close getting under Spring Creek bridge, for example. 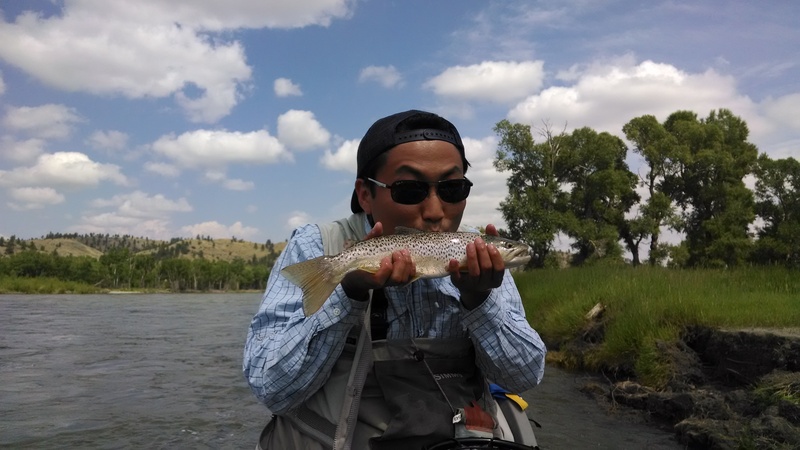 The Yellowstone has been steadily dropping for a while and is finally clearing a bit. Chris and I ran a trip on it yesterday. It’s more green than brown, but moving very fast. We were able to get our clients into nice fish nymphing deep with standard stonefly nymph patterns. There were mayflies around, but no fish on them. The ‘Stone may be big and brown, but so are the fish!